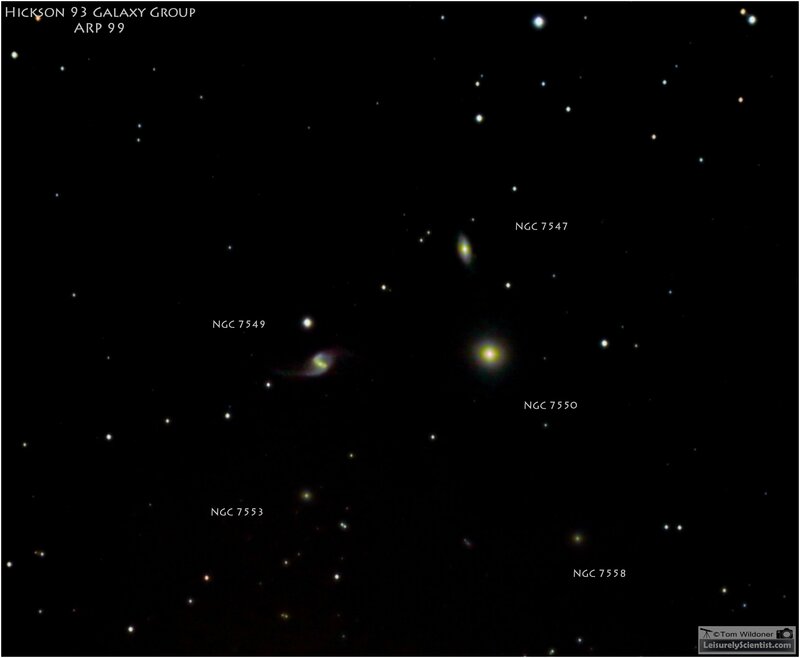 This grouping is about 265 million light years away, five main galaxies are shown in the image, but only four are thought to be gravitationally bound and strongly interacting. You can see in the image how NGC 7549 is distorted by gravity, slowly pulling away strings of stars and gas. NGC 7549, magnitude 13.8, barred spiral galaxy. NGC 7550, magnitude 13.6, lenticular galaxy. NGC 7547, magnitude 14.7, barred spiral galaxy. NGC 7553, magnitude 15.3, elliptical galaxy. NGC 7558, magnitude 16.0, spiral galaxy. Tech Specs: This image is composed of 192 x 15 second images at ISO 5,000 with 10 x 15 second darks and 10 x 1/4000 second bias frames using a Meade LX90 12” telescope and Canon 6D camera mounted on a Celestron CGEM-DX mount. 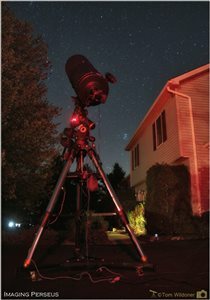 Imaging was done on November 6, 2016 and November 22, 2016 from Weatherly, Pennsylvania.